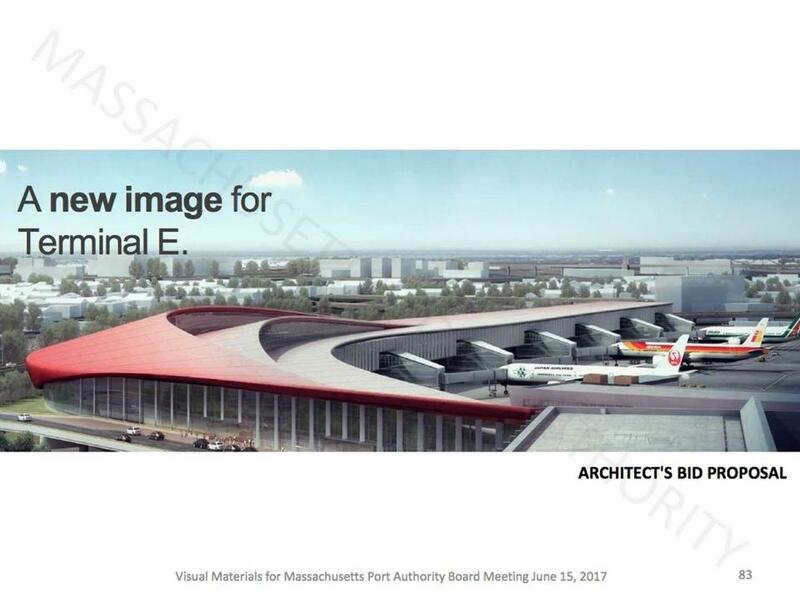 A preliminary suggested design for Terminal E.
Could Logan Airport soon have a building straight out of the Jetsons era? The airport is about to begin its next round of major upgrades to the busy international Terminal E, and the contractors hired for the job have come up with a wild new look for the building that evokes early Space Age design. 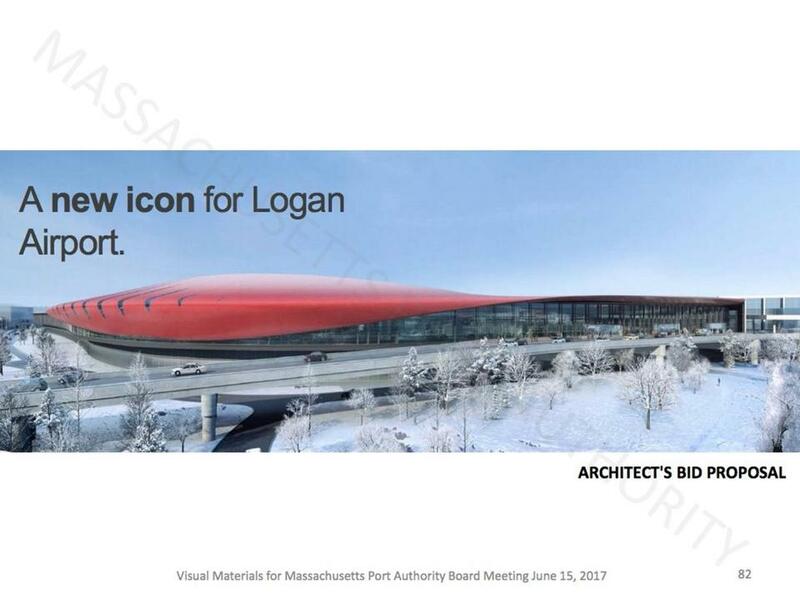 The Massachusetts Port Authority, which operates Logan, cautions the design is preliminary and the actual building could look different. The roof is drawn in a long curving or wavelike shape, and positioned so it traces the path of the sun. 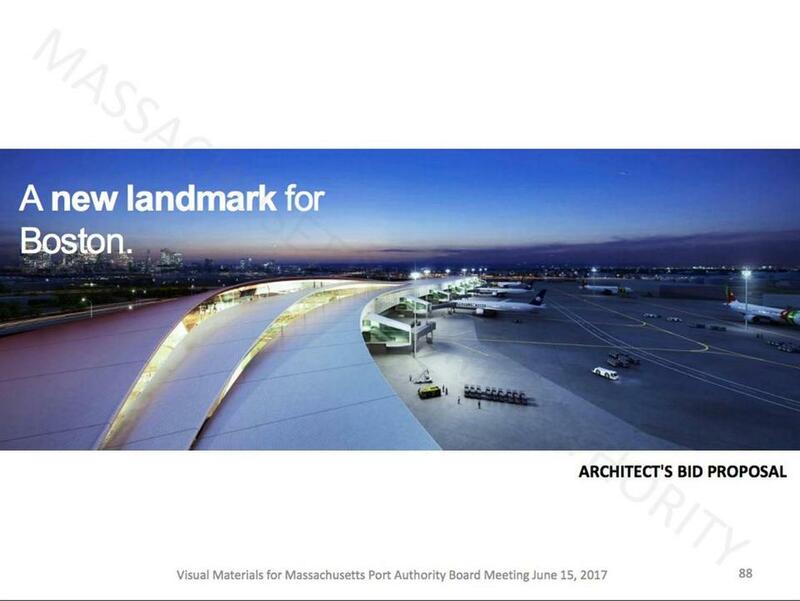 North-facing skylights “in the form of eyelashes” would allow light into the interior while protecting it from direct sun exposure, according to the proposal the firms submitted to Massport. Other images submitted by the team show a vast, airy interior with curving banks of glass letting in daylight and offering views of downtown. The south side of the roof has two arched peaks that step down to the main, flatter layer that runs the length of the terminal. The Terminal E project is part of a multiyear, $750 million infrastructure improvement plan to update and expand the spaces and services as Logan experiences a surge in international travel. About 6 million international passengers used the terminal last year through September, according to the latest Massport figures. The terminal was originally built to accommodate 1.5 million passengers. Massport wants to add seven gates to the 12 already at Terminal E to better accommodate the influx of travelers. In 2016, Massport completed a $160 million project to upgrade gates at the terminal to serve the large A380 double-decker aircraft used by British Airways, Emirates, and Lufthansa airlines. AECOM, which has worked on prior Logan projects, was also part of the A380 project. The latest improvements are estimated by Massport to be completed in 2022. 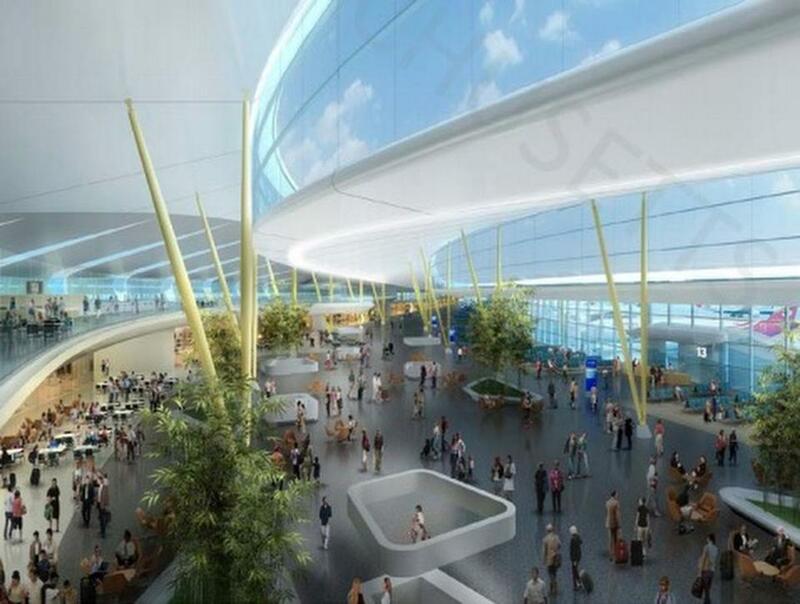 The plan, which is still in the design phase and could take a few months to finalize, includes enhanced ticketing, a consolidated passenger security checkpoint, airline clubs, new baggage systems, concession space, and a multistory great hall for passengers. The airy design and expansion should be a relief to the throng of international travelers who’ve complained in the past about wait times in the congested terminal. The existing international arrivals and customs hall could see a renovated roof and windows to let in more natural light. Once completed, the terminal will seek LEED Gold status from the US Green Building Council for environmentally advanced buildings.